Dodatna oprema Rotation, stabilisers, hydraulic quick coupler, limited slip differential on front axle, steering on front or on both axles, airconditioning, suspension seat, working signalisation- Loader bucket, hook, forks. 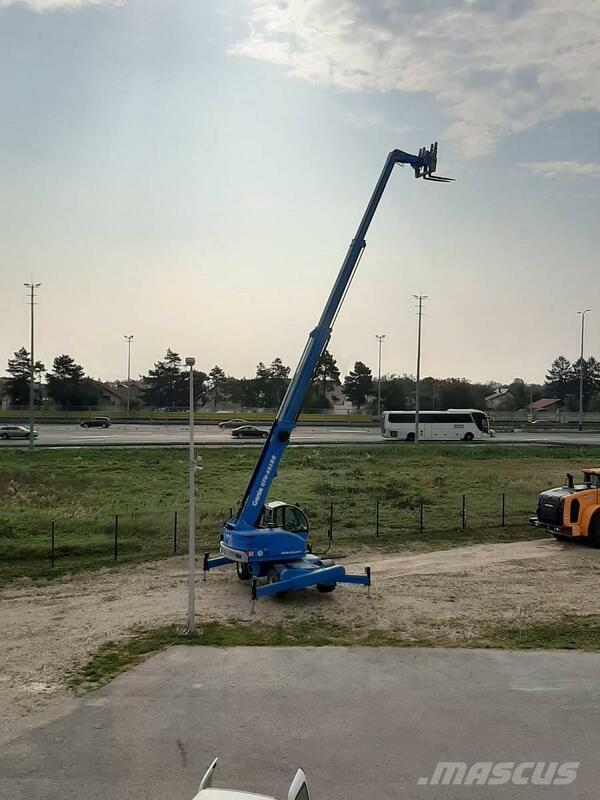 Ostale informacije Rotating telehandler with maximum capacity of 4.500kg, maximum reach height 17,25m. Hydrostatic drive 4x4, Two speeds. Machine in excelent condition, like new, only 237 working hours! !